Asian description: ‘column of steam steadily rising’ water. That’s when a column of steam begins to rise from the surface. Green tea leaf varies more by volume to weight than any other class of tea except white tea. Some green teas are comprised of large leaves, others have small leaves. Some green teas are light and fluffy; others are rolled, twisted and dense. Our recommendation for how much to use for each of our green teas may surprise you with the quantity listed, but they are all measured to deliver delicious taste. Japanese green teas are generally uniform in shape and size. If you will be re-steeping your Japanese green tea, it is important to use a full measure of leaf when steeping green tea. Fill your teapot to its functional capacity with water and then measure this volume of water in ounces. Divide this number by 4. Most recommendations for the amount of Japanese green tea to use are based on 4 ounces of water. So, for example, a 24-ounce teapot would require 6 measures of tea to make a full-strength pot of tea. If you intend to re-steep the leaf, you may want to only prepare half a teapot of tea and then re-steep the leaf. Green tea leaves are rarely ‘in the water’ for longer than 2 minutes at a time ( often less ), so start with a 2 minute steep, and taste a tea that is ‘new to you’ every 30 seconds after. Green tea leaves can be steeped again, usually 2 to 3 times, depending on the tea, at the same or a slightly hotter water temperature than used for the initial steeping. This splendid tea is a wonderful introduction to tea from Yame. Yame teas are from Fukuoka Prefecture located in the north-west region of Kagoshima Island. Yame is a small but glorious tea producing region famous for producing fragrant and rich bodied green tea. 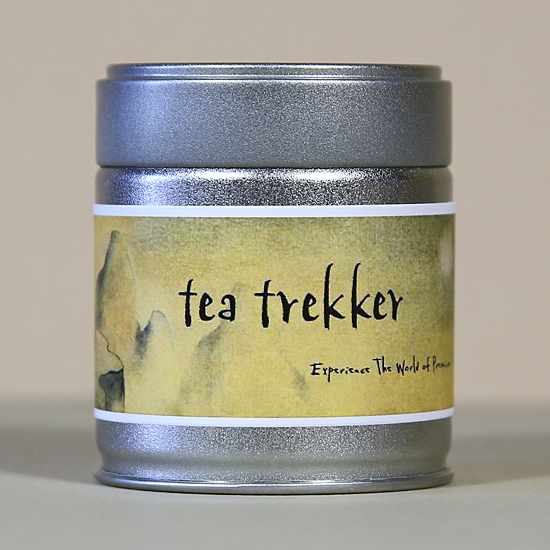 For us, it was love at first taste when we met this tea. 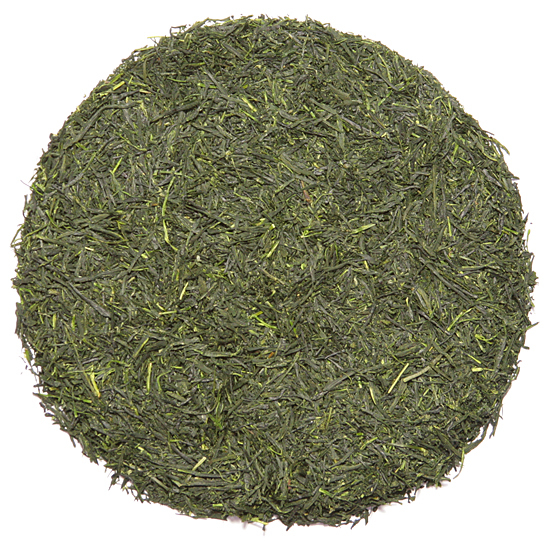 This Sencha is very different from the other senchas that we sell. It is rich and velvety in the mouth. The flavor is robust and confident but not bitter or grassy – it is a stunning tea with a flavor that is reminiscent of the taste of quality Matcha (but without the thick-bodied, frothy nature of Matcha). We highly recommend this tea to seasoned Sencha drinkers and also for those who want to try Matcha but are not ready to commit to the preparation necessary for preparing powdered tea. This quality in the taste derives from a high percentage of amino acids present in the fresh leaf, which was grown at a high elevation where growth is slower and flavor components within the leaf develop more concentrated chemistry. This tea was grown in a region that is near two rivers and receives a high level of cooling due to nurturing fog and cool breezes. The natural quality of the fresh leaf is accentuated by the fukamushi steaming. Fukamushi is one of the taste variations of Japanese Sencha. This term refers to the amount of steaming that the fresh leaf is given when it enters the tea factory to be made into finished tea. Steaming reduces the raw, green vegetal taste of the finished tea and softens (or sweetens) the taste. All Japanese green tea is steamed during manufacture using one of three levels: Asamushi ( light steaming); Chumushi ( medium-steaming); or Fukamushi ( deep steaming). Fukamushi is a popular choice for tea drinkers in Japan when selecting Sencha tea. Fukamushi sencha retains the vegetal quality of the Sencha style, but the deep steaming adds richness and buttery smoothness to the mouthfeel. 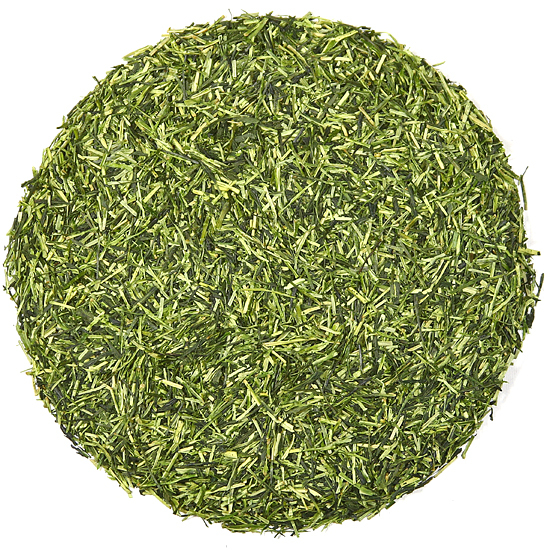 The higher the quality of Sencha the more this characteristic is intensified and sought after. This Sencha offering is well worth the experience.